Government projects are sponsored by the Department of Defense and other federal agencies, which have long played an important role in our community. Wherever they work, municipal officials, uniformed service members, and civilians in the Lowcountry serve the public – and we’re proud to serve them. Hightower is highly proficient at managing government contracts and meeting the exacting technical and administrative standards our public sector clients set. If you drove down Interstate-26 into Charleston a few years ago, you would have passed an abandoned industrial lot filled with debris. Today, you’ll see the city’s newest and most exciting attraction: SK8 Charleston, a state-of-the art skatepark overlooking the Ashley River marsh. Built on a 3.3-acre property under contract with the Charleston County Park and Recreation Commission, SK8 Charleston has 32,500 square feet of skateable surface area. 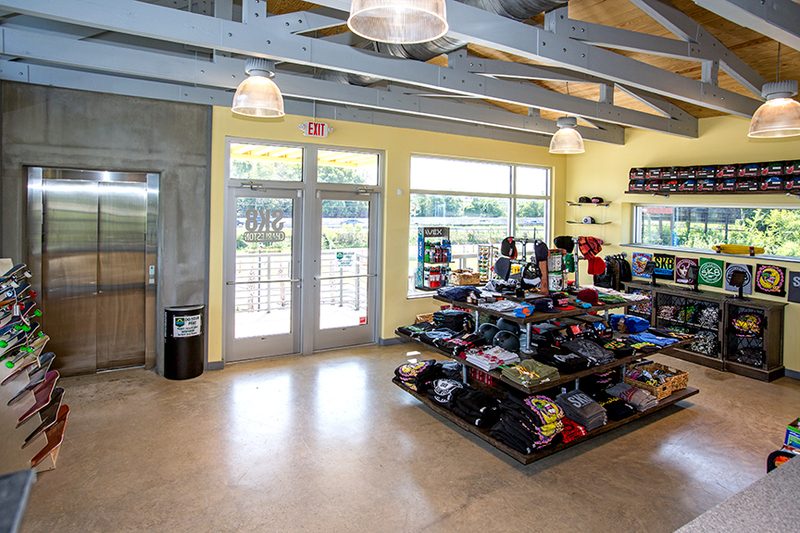 In addition to two courses, a mini bowl, and a competition pro bowl, the park also includes a main building with offices, concessions, restrooms, and storage; a parking area; and seating for spectators. Because of the unstable ground and industrial fill, SK8 Charleston was a technically challenging project. Working in collaboration with the global engineering firm, AECOM, and the acclaimed skatepark design firm, Team Pain, Hightower’s team of general contractors creatively and skillfully met rigorous requirements for construction, erosion control, and stormwater runoff. Being conducted under the auspices of a local government agency, the demands of cost, schedule, and performance were rigorously met throughout the project. Today, SK8 Charleston is making a mark on the skating world – and on the community it serves.